In trying just to open your product, the cap system failed utterly. In trying to open it, the outer cap ended up being shredded by the inner cap. Even with a vice, the inner cap refused to budge and all I did was shred the plastic. I ended up cutting off the top of the applicator. Not exactly sterile now. My prescription eyedrops were easy to open, why all this trouble for these? Maybe I was unlucky and got a super tight one? I will be weary of your products in the future. If your cap design is this poor, who knows what the medicine is like? We want to learn more about your experience. Please give us a call at 1-888-734-7648. We're available Monday-Friday 9AM-5:30PM ET. When you call mention your username to our team. We hope to chat soon! This stuff is a whole 50/10. Worked its wonders in literally 2 minutes. Went from obvious red eyes, to normal eyes. Crazy stuff. I recommend. Definitely buy. This product is an excellent than other. This medicine is the best I have bought for my eyes. The results in addition to positives are rapid. It is easy to get in any establishment at an economic price compared to its results. AWESOME PRODUCT. IT REALLY GETS THE RED OUT QUICKLY. Visine is the only eye drops I use !!! Fast &amp; effective for red irritating eyes! Visine is the brand I use and trust. It relieves the redness and dryness in my eyes. It is affordable and works really well. I love this product. I used it when I got allergies in my eyes and it cleared it up . I Defiantly recommend it. My eyes always feel dry, irritated and burn a lot! 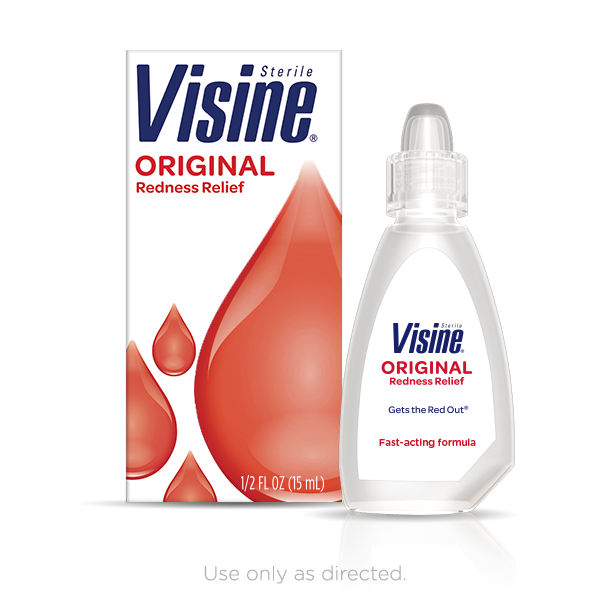 Visine Original Redness Relief gives me instant relief and make my eyes feel so much better! I use this product regularly and would be lost without it!